Are you fond of manga or Japanese animated series? Did you know that there are places you can visit to enjoy and experience anime adventure? You heard it right! In Japan, there are lots of destinations that are intended for anime-lovers. 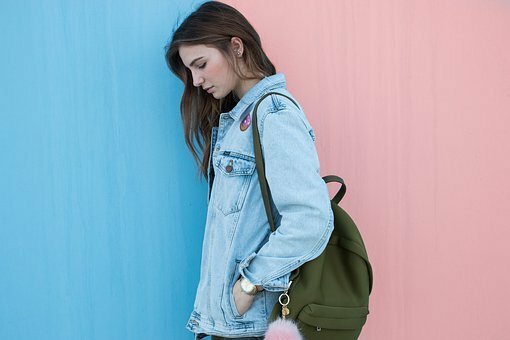 Try to stop by at these places, and it will surely give you fun and excitement. Below are some of the famous anime-inspired places you can visit. All anime-lovers want to experience saving the world, obtaining the dragon balls and or exhibiting their ninja skills in the Naruto match? J-World Tokyo, established in the Namja Town Plaza is a museum for the fans of Naruto, Gintama, One Piece, and Dragon Ball. They have various attractions and games based on these anime series. Also, J-World Kitchen offers a unique dining experience. Plus, they are selling a variety of snacks, meals, desserts, and other refreshments based on the anime characters. Furthermore, you can try favorite ramen of Naruto or the loco moco plates of Dragon Ball after having a fun-packed day. Moreover, be sure to visit the gift shops which sell exclusive manga products that are only available in J-World Tokyo. The theme park also offers cosplay services where guests and tourists can enjoy dressing like their favorite One Piece, Naruto, Gintama or Dragon Ball characters. Sailor Moon is one the Japanese animations that is popular around the world. The comics of Sailor Moon was first printed in 1992, and shortly after, airing its TV animation. The anime became popular, and the social phenomenon was well-known not only among girls but also to men and women. The Sailor Moon series also became well-known among foreign countries. The official Sailor Moon shop began in September in Harajuku to honor its 25th anniversary. The shop also offers exclusive items, anime tours, and products for all Sailor Moon fans. 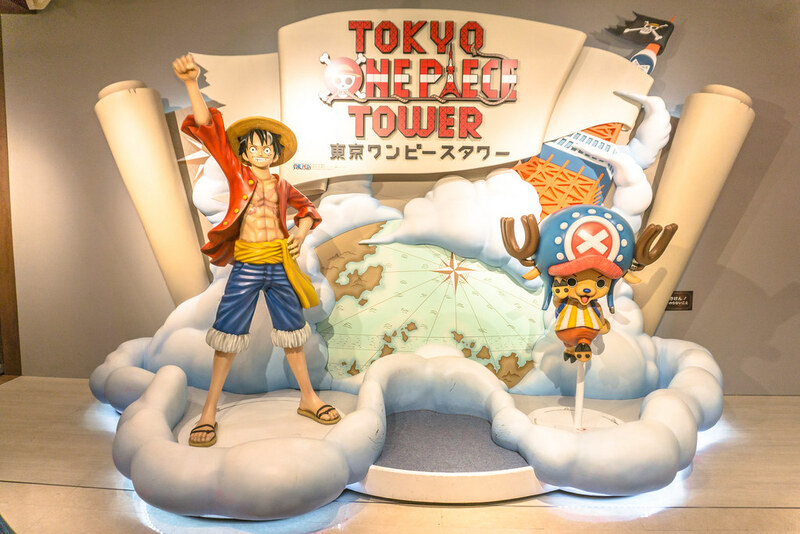 Tokyo One Piece Tower, launched on March 13, 2015, is the only One Piece-themed indoor park, the famous Japanese anime series. The concept of this park is the New World, an island in One Piece where the crew of Straw Hat Pirates landed. Since the park’s opening, it had undergone several remodeling and reopened for the public on June 18, 2016. The park provides various attractions, games, merchandise shops, entertainment shows, restaurants and other campaigns based on the characters of One Piece. Also, there are amazing One Piece displays and sculptures, and you can experience live-action through projection mapping, and dine in with delicious One Piece food delicacies. The Gundam Base Tokyo is a must-visit place for all fans and lovers of the Gundam anime series. There are so many things to do inside the Gundam Base such as touring shopping areas and building zones for Gunpla. Standing at the entrance of the park is a one by one scale figure of RX-O Unicorn Gundam, replacing the previous 59 feet RX-78-2 Gundam model. The RX-O Unicorn Gundam reaches 71.2 feet that stand in Destroyer Mode. This Gundam model entertains visitors with movements, sound, and light effects. Of course, there are clothing stores and gift shops, as well as the famous Gundam Cafe where enthusiasts can request for Gundam-themed snacks and refreshments. The Kyoto International Manga Museum consists of three floors with a basement, which walls are packed with shelves of manga series. Browsing on this extensive collection of manga is one of the main attractions of this museum. There is also a small section of the books designed for foreigners and translated manga books, but the majority of these are in Japanese. Aside from its collection of domestic manga, the park also concentrates on both of the development and adoption of manga globally. Also, the park features the work of global manga artists and often associates foreign artists in their events. And in addition to its compilation of manga, the museum also displays temporary presentations on several themes. Animate is one of the biggest and most popular anime shops in Japan. Located in Akihabara, the mecca of anime. Animate features numbers of anime related products, everything from manga to posters, figures, and so much more. You will surely find your favorite anime character products in this extensive manga shopping mall. There is also a floor intended for holding exhibitions where anime producers and voice characters often hold meet-and-greet activities. Certainly, Animate is a must-visit for all anime fans and otaku. Many people are embracing anime and manga as their way of fun and stress-relieving. Even some are joining cosplay events to show their passion and to experience the anime world. But if you want to feel the anime environment through traveling, you can visit Gundam Base, Tokyo One Piece Tower, or the Kyoto International Manga Museum. And for all of your travel needs, you can visit nearest stores or online sites such as Deal Wiki for various choices.